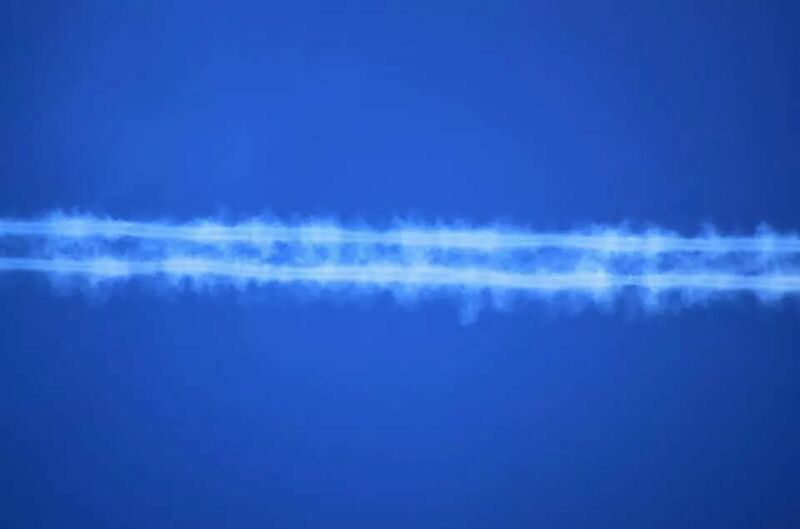 Let us first remind ourselves that if planes were not clearly visible spraying chemicals into our skies, then some of what we discuss here would be much harder to accept. As it stands though, most of what we see and experience seems to fit with what we believe to be happening. When linking the first 3 words of the title of this page most people generally assume, even seasoned climate engineering researchers and activists, that the current climate engineering programs are designed to block sunshine. The internet is awash with articles on Vitamin D deficiency and its associated illnesses such as rickets. Global dimming is a term familiar to many. In 1985 Atsumu Ohmura, a Japanese researcher discovered there was less sunlight than there should be over Europe. 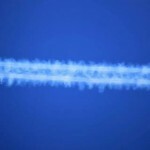 There are many theories about the causes of global dimming, but for the purposes of this article, and for obvious reasons being a climate engineering website, we shall assume that the many tons of chemicals sprayed into our skies every day is the cause of reduction of sunlight reaching the surface of the earth. Many conspiracy theories claim that global dimming is a deliberate tactic designed to create human health problems and to cause crops to fail, and hence raise food prices and eventually cause mass starvation as well economic turmoil, all part of the plan to weaken and destabilise our societies as part of Agenda 21, and the accompanying introduction of world governance. Officially Agenda 21 is a plan for sustainable development for the 21st Century, but many now suspect that much of what is happening around us is part of this plan, and is far from innocuous, and that it is in fact a thinly veiled population control agenda. There is no doubt that in an extreme scenario that global dimming would eventually cause loss of food supplies and in turn life, but unless the plan is very long-term, there seems to be little evidence of this so far from what we can tell. There may be people out there who can prove us wrong, that is just a casual opinion based on what we see right now, so we invite feedback. Our own observations over the past few years was that every year seemed to follow a pattern… 2 weeks of pre-summer sun in late March/early April, another 2 weeks in late April/early May, and then it was rubbish again until August. August wasn’t great, and we were all promised an Indian summer which barely materialised, and the it was Autumn again. 2014 seems to be different though. So far we seem to have seen an increased number of ‘sunny’ days from 2013 (we think), and those days seem to be characterised by people complaining about how hot is has been, but more importantly how they got burnt easily. The pattern we described above has not been followed this year, and June and July have seen more than usual bright days, and less of the extended grey we have been accustomed to. There are many days when I hear people saying “oh what a beautiful” The odd thing about these days is that people not only seem to get burnt very easily, but even more oddly in a way that is not traditional. We see increasing amounts of people who display deep red noses and cheeks, shoulders and necks. Sunburn is nothing new obviously, but I grew up spending the school holidays in long hot summers that were deep blue from May to September aside the odd storm, and I would laze on the beach for 6 week or more, and not a single drop of sunscreen ever touched my body, nor has it since. It was rare for anyone to burn at all unless they had really overdone it, but that generally meant falling asleep in the sun. 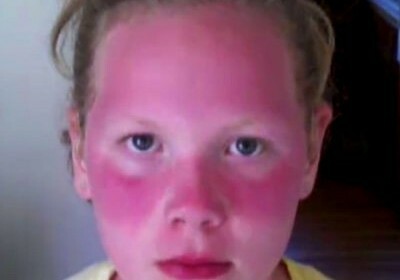 The current situation seems to see people getting quite severe ‘sun-burn’ in as little as an hour or two in the UK, even from just driving or being outside, and the nature of the burn is very severe with deep colours and swelling. This is not normal sunburn. Something is definitely wrong. The media have, predictable come up with yet more global warming, (oops sorry we have to call it climate change now don’t we) scare stories. Extra resources important site WE are causing the planet’s atmosphere to disintegrate due to all our pollution. That’s all the pollution from the massive levels of industry we have in the UK… oh yes of course we don’t have any industry left do we. More worrying is that the traditional scare stories from the media about the arctic ozone hole has now developed into a far more local problem it seems to try to account for this new phenomenon. For each new strange effect that current climate engineering has on us and our atmosphere, the media seem to invent a new catastrophe or convoluted new ‘scientific phenomenon’ (that has always existed of course) to explain it. A UK-based,intermittent, short-lived, severe ozone hole is probably one of the least believable stories we have seen though ! There are a number of possible explanations that we can apply to the sunburn situation. 1 The chemicals in the air are destroying Ozone and hence making UV precipitation at ground level much higher. 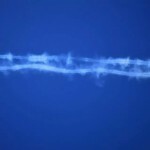 Geoengineeringwatch (GW) recently published this article that claims that climate engineering (also refered to as geo-engineering) is responsible for the depletion of the ozone layer. GW is a good website and publishes well-constructed articles, but we have to say that this one seems a little odd and doesn’t quite add up for us. 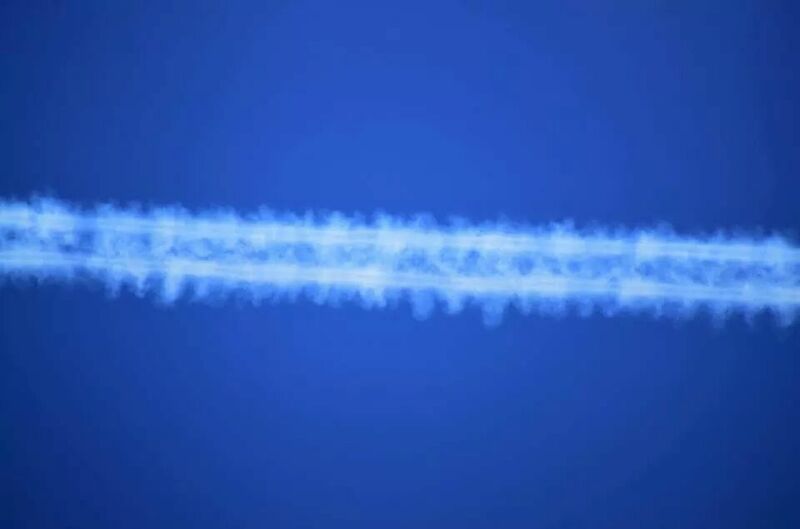 The problem is that the planes dumping the trails and haze that we see, when these super hot skin-burning days are occurring, are operating at well below the level of the Ozone layer, which is found in the lower stratosphere. That means above 50,000ft in most places. 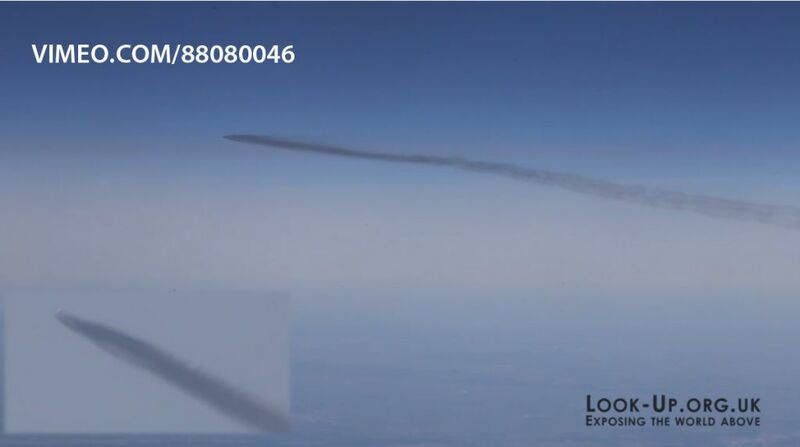 The trails that seem to cause this buring are being sprayed as low as 18,000ft. How is it possible for that stuff to rise up many thousand of feet and deplete ozone far above it. We also have to consider that the effects seem to be very random and short-lived. Now we are not climate scientists but from what little we do know we think that ozone depletion is a slow cumulative process, not one which occurs to such extremes on a daily basis and at such a local level. We are pretty sure that to most people this just does not make sense either. 2. The chemicals we are absorbing from climate engineering are making the skin more sensitive to UV. This could be as a result of affecting melatonin, changing the skin porosity or cell structures in some way as to make them more vulnerable. We are totally stabbing in the dark here and don’t have the biological knowledge to work this one out, but the general concept is a possibility. 3. We are, either gradually and cumulatively, or specifically and immediately on those occasions, absorbing something from the air that is making us react in that way to normal levels of UV light. It is possible the fibres that have accumulated in our systems are making us much more sensitive to UV. We know these fibres from the trails we see are collecting in our throats, but what happens to them after that and what effect they have on us is still a mystery. Our current theories suggest they interact with our digestion in some way, but whether it is more complex than that is still unclear. Other chemicals we are absorbing may be reacting to UV and causing the burning within the skin. What we mean by this is that there is a reagent effect of some type going on, but there are 3 factors involved in the reaction rather than just skin and UV. The reason we say this might be possible is, as we suggested earlier, that the burning that we see does not look like traditional sunburn, but is actually much more pronounced. This could be caused by the fact that more of the harmful UV is getting through causing different or more severe burning which looks different; again pure conjecture at this stage. Incidentally there is a new type of trail that has appeared more recently, and in fact seems to maybe coincide with the skin burning phenomena quite closely; that is the barbed wire trail as we call it. We must consider whe we talk about new types of trail that we have no idea how many different chemicals are being used, and also that the equipment being used can likely manipulate the aerosol in several ways so as to alter the density, flow rate and droplet size, so the variations could simply be adjustments rather than different substances. We will be expanding on this more in the article Airbus A320 systems as we now have some very good information on how these systems work following a presentation at CEC14. 4. Low level ozone may be candidate for this too. Low level ozone is very different from upper atmospheric ozone (ozone layer). It is possible that we are reacting in some way to low-level ozone. Here is an interesting article on low-level ozone, so we hope someone with more knowledge of biology and chemistry might be able to think more deeply about this. The gist of the article is that low level ozone is very harmful, but more importantly that is is caused by burning fossil fuels, and the hydrocarbons released causing what is known as a photochemical smog. Here is an extract from the article. “Ozone is a by product of fossil fuel combustion. When pollutants such as hydrocarbons and nitrogen oxides react with sunlight, to produce ozone following a series of free radical reactions. Photochemical smog is a complex pollutant generated when hydrocarbons and oxides of nitrogen react in strong sunlight, forming a series of secondary pollutants. If this were the case it might go some way to explaining what on earth is going on in these images. 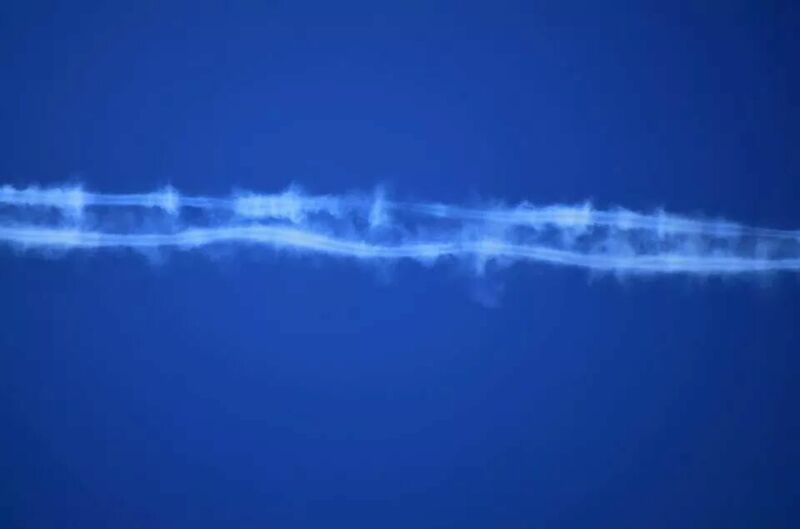 When we first published these images from our Smokers video, we assumed that the big smoke rings we see are signs of an advanced propulsion system fitted to commercial jets. This would have fitted very nicely into our theory about the global distribution network, but that’s another story. Someone jokingly said that maybe the planes have been converted to run on diesel. 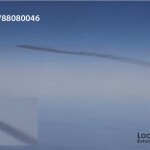 Now we are not suggesting that is the case, but it is certainly possible that these planes are spraying diesel or some other fossil fuel into the exhaust plume to create the vast smogs we saw earlier this year. It was around the time when they first started to appear. In view of the information about the toxicity of low-level ozone this is yet another theory worth considering. Certainly what see in the film is neither of the two common types of trails (fibres and metals), so something new is going on. Having considered this point we have realised what is actually goin on in the smokers video. We expland on this in another article coming soon, suffice to say we are being edged towards what is described in the media as a ‘climate emergency’, which now seems to be based entirely on the fear factor of CO2 levels. We think it is impossible to take that scenario seriously when we see aircraft deliberately pumping thick black smoke into our skies. 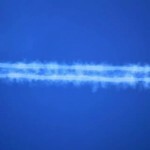 Black trails are really the smoking gun in the sky. There is absolutely no room for maneuver in terms of trying to claim they are the result of condensation or anything remotely normal or natural. Jet engines do not run on diesel and so should never be seen emitting anything like this. 5. Lensing – this is very tenuous and we have pondered this endlessly. If the particles in the air, whether they be fibers or metals, were to be acting as a lens, then the light from the sun would be focused more intensely. We all know the magnifying glass effect. We can’t quite work out how this would work on a large-scale though, because generally if you focus light in one place, you are diverting it from another, so the effect would not technically work over a large area. That said, when we look at the phenomenon known officially as Halos, but known more commonly as Chembows, we see that something IS going on that seem to be changing the behavior or path of light in some way. We have been relentlessly pursued for the last few decades by people and organisations badgering us to protect ourselves by using sun-cream. It will come as no surprise to most that have been aware of this subject for some time to be told that we think that sun-cream is now considered by many, even in the scientfic community, to be encouraging or causing skin cancer rather than preventing it. Indeed many reports seem now to be suggesting this, and the tide is turning on the fail-safe image of the sun-cream tubes as our first line of defense against ageing and cancer. The WHO recently stated that the world faces a ‘tidal wave of cancer’. Indeed. Not surprising when we consider that almost everything that is happening around us seem to be harming us in some way. We think that the link between climate engineering , sunburn and sun-cream is pretty strong, and that this is yet another potentially harmful aspect of this program. Taken from Cancer Research website. UVA rays – these are less potent than UVB rays, but penetrate deeper into the skin. They damage the middle layer (dermis), which contains tissues that give the skin its elasticity. Prolonged exposure to UVA rays can age the skin prematurely. UVB rays – these UV rays are absorbed by the top layer of skin (epidermis). The epidermis releases chemicals that cause the pain, swelling and redness associated with sunburn. UVC rays – are filtered by the earth’s atmosphere, which means that protection against this type of radiation is not required. UVA and UVB are the two types of ultraviolet rays that cause sunburn. Exposure to UVA and UVB rays increases your risk of developing skin cancer. Sunburn is a warning sign that you are putting yourself at risk and damaging your skin. It is hard to know exactly what is going on, but we are convinced that ozone depletion is simply just another excuse for the latest is a series of detrimental health effects that are caused by climate engineering. If we were to be drawn into giving advice on what to do, and it is very tenuous for the reasons stated above, we would probably suggest keeping covered up as much as possible and keeping skin as unexposed to the sun as you practically can until we know more. We have said in other articles, but we can’t stress enough how obvious this is, even to the untrained mind, that when the W.H.O. claims “the world faces a tidal wave of cancer” they only know that because they know what is going to cause it. We deal with the cancer issue in more depth in the Article title A Tidal Wave Of Cancer. It has not been completed as yet.